Few games from the last console generation command such fervent respect from me than that of the original Valkyria Chronicles on PS3 back in 2008. It was so beautifully executed for such a fresh take on the strategy-RPG subgenre and featurded highly-rewarding yet challenging third-person tactical gameplay, a triumphant Hitoshi Sakamoto soundtrack -- all this and more while bannered in an absolutely gorgeous visual style that gave Valkyria Chronicles a real storybook-like flair that caused it to be lauded for years to come. And... no one bought it at the time. It was after this that the series gradually descended in ranks to approach a different audience. 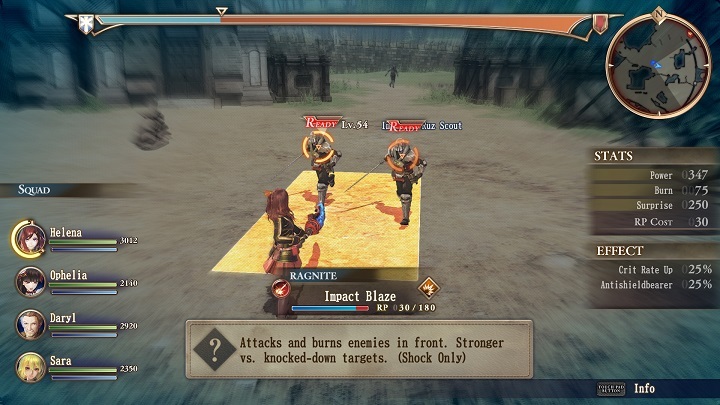 To cater to specific Japanese gaming tastes they made two handheld sequels to the original Valkyria Chronicles. Both were good games in their own right, despite the mixed reception that II“s high school setting brought in particular, but clearly made compromises in scope for the weaker PSP hardware. To rekindle the fires of war in what is easily the most divisive Valkyria release to date comes the entirely new action-RPG spin-off: Valkyria Revolution. With a negative Japanese reception, and it forgoing most of the series' signature SRPG elements, it begins to bring into question what merits that Valkyria Revolution has to rally existing veterans of the series. 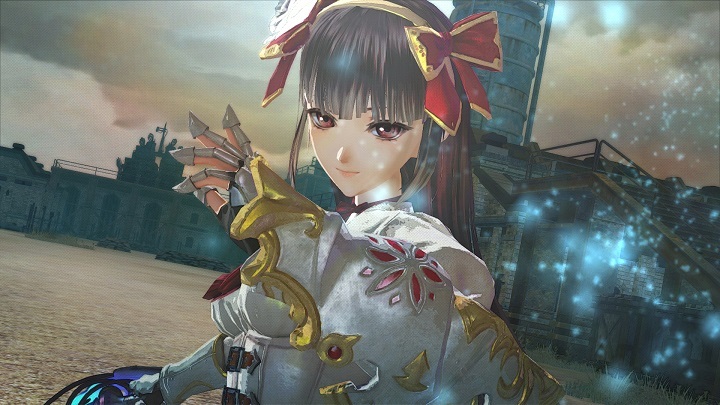 What is likely to feel like a first traitorous act to the beloved franchise is simply in how Valkyria Revolution looks. Characters move stiffly and have doll-like facial expressions, environments are lifeless as well as frequently recycled, and at times the title has the gall to not be animated at all during certain story scenes using only still frames and voice acting to propel it. There are moments where it does try to utilize visual filtering tricks to evoke the storybook-esque effect of the prior titles, but hardly comes close to parity with the original. Really, just about everything about its look feels a step back from its nearly decade old influential forefather, which only adds insult to injury. 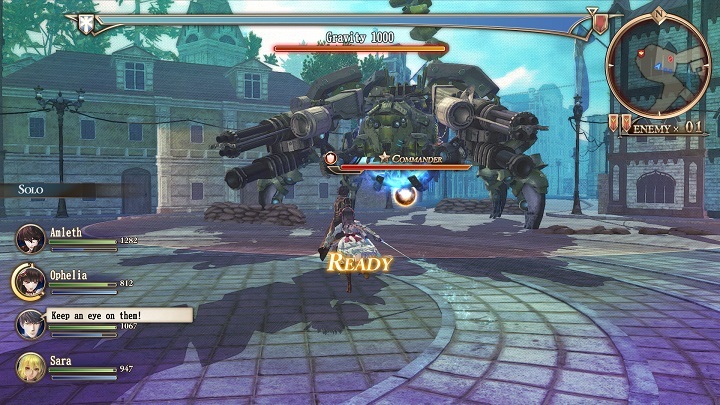 It may be clear the game was largely hamstrung by the PS Vita hardware but it is still a real shame that Valkyria Revolution has failed to really imitate Valkyria Chronicles' visual charm on even the most basic level. Valkyria Revolution tries to gain its bearing by other means, however. And as a spin-off it does technically have leeway in doing so despite many creative liberties it tries to take in its departure. First and foremost Valkyria Revolution is a four-person squad-based action-RPG. There are certainly elements of the previous strategy titles like the ability to take cover, how action pauses when lining up shots, or issuing orders to allies, but their practical use is next to non-existent on the standard difficulty. Gameplay rarely feels more complicated than running up to enemies, often rather mindlessly, to hopefully exploit their weakness in the process from doing actions like a rocket launcher on a mechanical foe or a well-timed spell (or "ragnite") in a mob of foes. But I would struggle to say if even that much forethought is really necessary depending on how much time you are willing to spend during a skirmish. Most of the inherent difficulty feels dictated by how much time you are willing to spend upgrading your character's abilities and gear than actually making calls of the battlefield, in all honesty. For example, early in the game it felt like it was taking me forever to kill certain mechanized spider-like foes. I decided to then update a character's weapon via a node-based skill tree (which is essentially progressed by using leftover "ragnite" item drops) and was able to shred through that same enemy in far less time. I also found a more satisfying flow the more creative I got with using different ragnite skills by playing upon each of the squad members affinities. The four primary classes bring a sort of MMO mindset to character builds, like shielders being a tank equivalent while sappers on the other hand have a higher affinity towards long range attacks or healing abilities. Depending on if one plays upon a character's strengths well enough can make them feel nigh invincible based on if certain unique character traits of theirs are triggered mid-battle (which are gained either through story or optional character events in the certain town hub). Weirdly enough, the gameplay and the systems around Valkyria Revolution aren't particularly bad overall but rather they are hardly remarkable in the long run. This is largely due to how little variety there is to combat. Enemies are frequently recycled as well as levels. Plus there is an encouraged grind to get new ragnite, or to enhance a character's weapons, which makes it drag its feet more so. Plus, when it has such a strong source material to serve as contrast, as Valkyria Chronicles had wildly varying objectives each story mission, only makes the squandered potential that much more depressing. What is actually Valkyria Revolution's stronger annoyance is not its generally average gameplay but rather the storytelling--and not in the way you would expect. The main story itself would make a good case for the best in the series, spin-off or otherwise, were it not for how terribly it is paced. Cutscenes are abnormally long, redundant, and often last around thirty minutes after each story mission. Every bit of political intrigue, or darker narrative implications, are entirely drowned out by either pointless slice-of-life fluff of squadmates or how much they pound you over the head with things you already know by now. I get it, game, "The Traitors" instigated a war for their revenge under the guise of a liberation. You don't need to tell me the same thing for twenty hours from both the characters themselves and the historians attempting to tell me the truth of that same history as well. There is one aspect that Valkyria Revolution absolutely nails, however -- and that's Yasunori Mitsuda's phenomenal soundtrack. 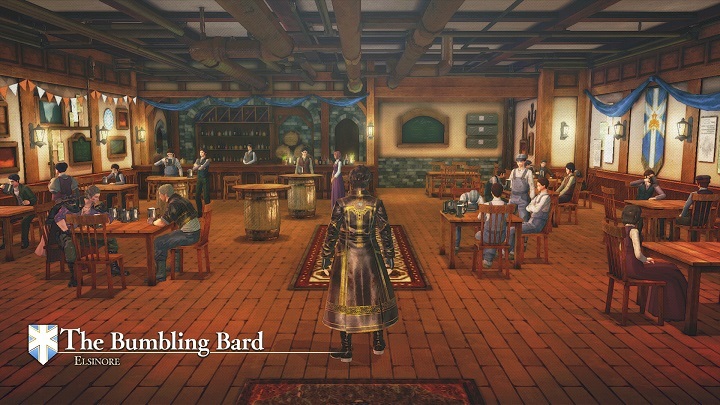 To empowering shifts in the soundtrack in the midst of battle, or more joyful beats when walking around the central town, really stands the musical score out in sharp contrast to the rest of the game. Other than that the trend of mediocrity carries over to other departments such as the voice acting as well. Yet, the generally well-written localization makes whatever awkward narrative scenes more palatable in spite of it and the iffy dub. As tempting as it is to forever compare what it does not do as well as its original legacy, Valkyria Revolution's biggest problem really is that it is thoroughly average for the most part. One can glean instances of potential from it here and there, from storytelling intrigue and gameplay systems, but they are dragged out for way too long to be compelling (story scenes in particular). What is left is a husk of a spin-off that is unlikely to really satisfy existing Valkyria fans, and is not built sturdy enough to stand on its own feet either in a year where one has so many better RPG alternatives. Although, one should give the soundtrack of Valkyria Revolution a listen at the very least. - Why are the cutscenes so dang long? !